Made in NYC! We love RubyLu caramels because they are fresh, handcrafted caramels with flavor twists. Just in -- Ruby Luc Caramels. Right now we have two flavors, more flavors coming soon. 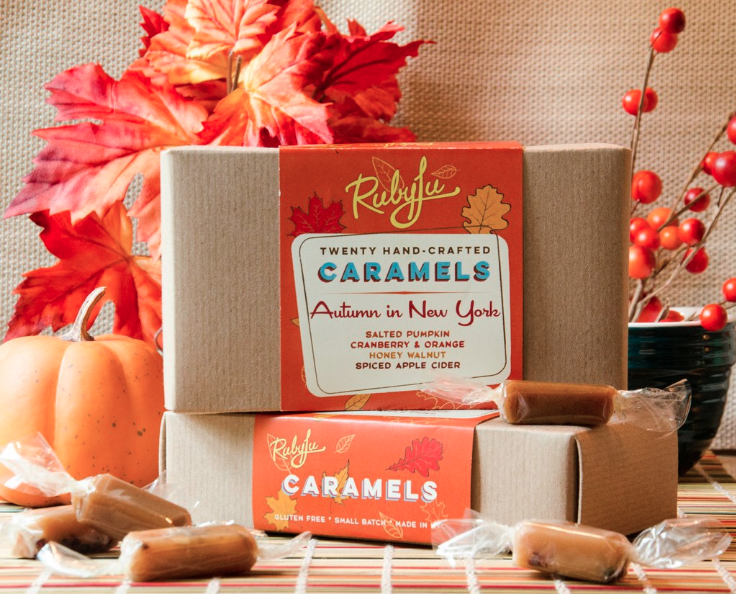 Ruby Lu caramels are made in NYC. 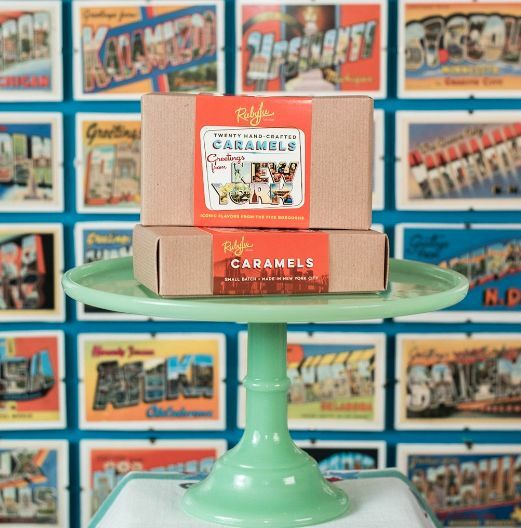 Each box has 20 handcrafted caramels. Perfect for a host/hostess gift or a fun way to sweeten things up anytime. Then, the "Greetings from New York" caramel collection. There is a flavor of every borough. Queens: Astoria's Honey Walnut "Baklava"
Ruby Lu Caramels are also available in our Made in NYC gift box.